It’s not the tools that are new, it’s how they’re used. We all know event’oriented mobile apps that provide guides and themed news for attendees. QR codes are also more and more common. That said, it’s most likely the first time (or first we heard of) that one simple tool combines these uses to provide easy access to the stadium and doesn’t compromise security by also providing full data of the fan entering. 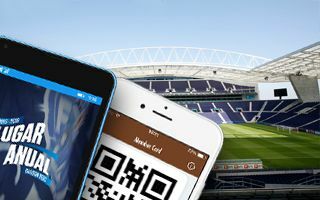 And on top of that the new app by FC Porto will also provide well known features like a stadium guide and extra content. The new program is available for Android, IOS and Microsoft Band users, however its effectivity and actual usefullness is yet to be tested by fans. Currently only season ticket holders have access to the app.